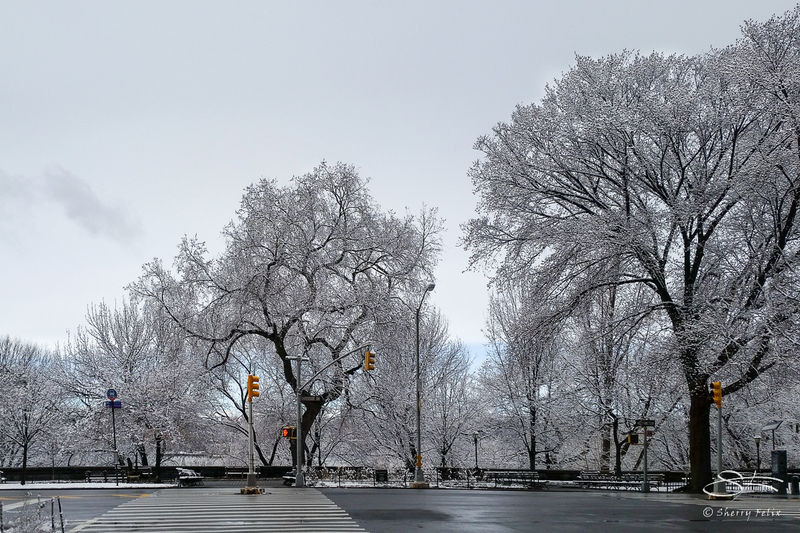 There was a wet snowfall on March 10 in New York City that coated all the branches of the trees like sugar. The snow on the braches was gone by the afternoon. 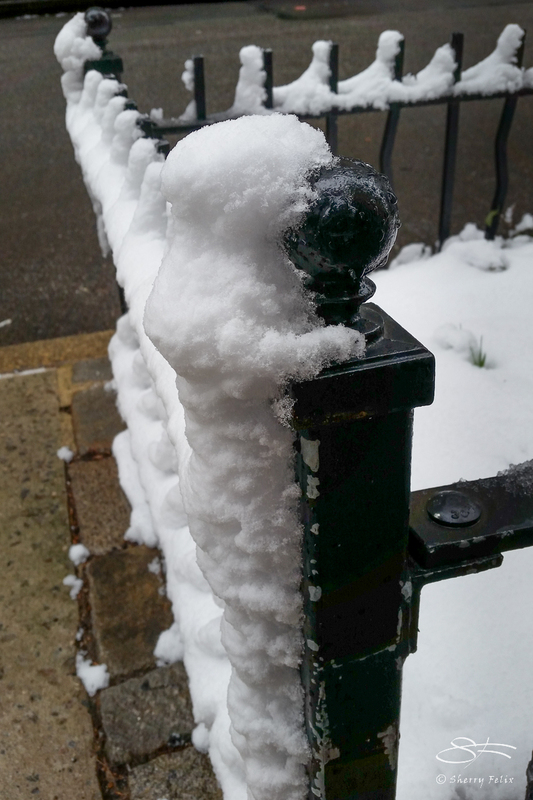 The wind caused the wet snow to stick to the sides of things and created this cute snow man. Had to smile at the snowman! I love it Sherry, I always see shapes and faces in odd forms…I see the man. We had a bit of snow here in Southern NJ too…just enough to be pretty for a few hours. I heard this morning we might get a big storm. I am right on the edge of where the forecast changes, not knowing if we will get 4-8 or 6-12. I guess Tuesday will tell the truth of the tale. Great post. Lovely fairyland photos, Sherry. But brrrr. How magical. I love the snow man. I’m glad my Samsung was able to capure it. Thanks. Wet snow looks nice. Fortunately for the trees it melted before the evening freeze.